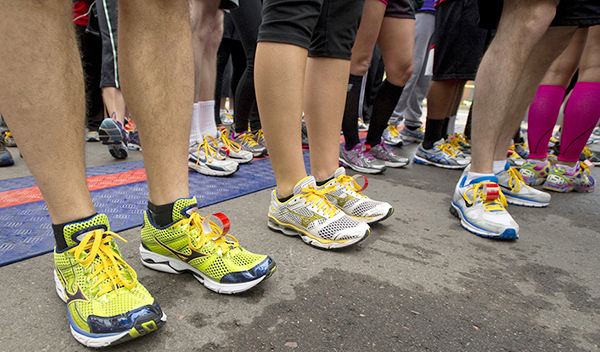 Running shoes galore at the annual Run to Fight Children’s Cancer on GCU’s campus. Their fit could impact performance. Grand Canyon University junior Meghan Maddux suspects her shoes are to blame for a debilitating leg injury she suffered as a teenage softball player. A new GCU research project explores the impact of shoes on muscle activation. “I was wearing shoes with metal cleats, and one leg moved and the other didn’t. 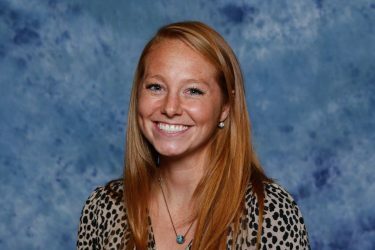 My injury convinced me that shoes matter,” said the pre-med major from Douglas. This semester, Maddux joins 11 students and Exercise Science faculty on research that could prove her hunch right. 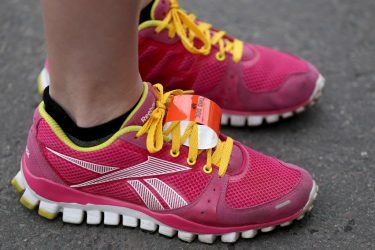 Their project – part of this fall’s launch of research initiatives in the College of Science, Engineering and Technology — explores the impact of shoes on muscle activation. For CSET Assistant Professor Donna Gerakos, GCU’s leap into research is significant on two fronts. First, research adds to GCU’s reputation as a leader in exercise science education. Equally important, it offers undergraduate students an opportunity to participate in cutting-edge research into fitness and wellness. Research also helps prepare students for the research requirements of graduate school. “The main goal of the project is to engage students in research-based opportunities that will bring to life the knowledge gained in the classroom,” Gerakos said. 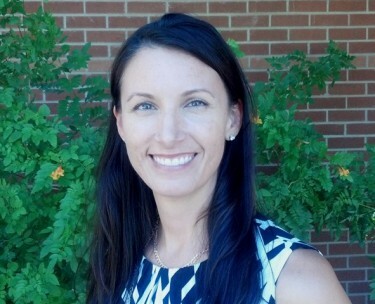 Dr. Lindsey Wagner is spearheading The EMG Project, research using electromyography to measure muscle activity in conjunction with different shoes. Foot strike patterns also will be measured and analyzed. the yearlong research project by analyzing existing research on the connection between shoes and movement. They also attend classes to learn the rules and methodology for scientific research. Once analyzed, the team will begin designing and implementing the research project. The goal is for students to present the findings with a curious public. “The end goal is add to the body of research that shows how important movement is to wellness,” Gerakos said. A second project, under the direction of CSET Associate Professor Dr. Cindy Seminoff, explores the relationship between sports performance, nutrition and objective health measures such as cholesterol and triglycerides to injury rates in college athletes. Nine faculty and 15 students are conducting the research that will establish an ongoing data base of information. Thirty athletes have agreed to be the initial test subjects. Like with the EMG, Seminoff’s research project is possible only because of the new lab facilities in the Performance, Optimization, Wellness, Exercise and Research (POWER) Center. “We have the support of the university and now have the lab equipment necessary to conduct the research. It’s very exciting,” she said. The third project on tap for this year is working with firefighters to develop a fitness program to improve their health and decrease injuries. 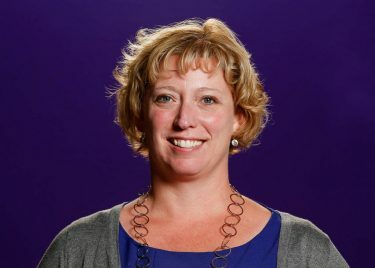 Once implemented, GCU researchers will measure the program’s success. The inaugural GCU research projects launch during an era of increased interest in exercise, movement and health. Future projects associated with the POWER Center will include testing of health measures of general college population as well as a new focus of research on blood pressure under the direction of Dr. Zach Zeigler, a new faculty member in the College of Science, Engineering and Technology. Along with Seminoff, Gerakos, Wagner and Zeigler, CSET faculty involved in the POWER Center research initiatives include Trevor Nordin, Dr. Mark Wireman, Dr. Brian Sillanpaa, Dr. Stephanie Stang and Michael Barton. For a story about the overall launch of scientific research at GCU, click here.